After much time and a lot of hard work (thanks for your patience! 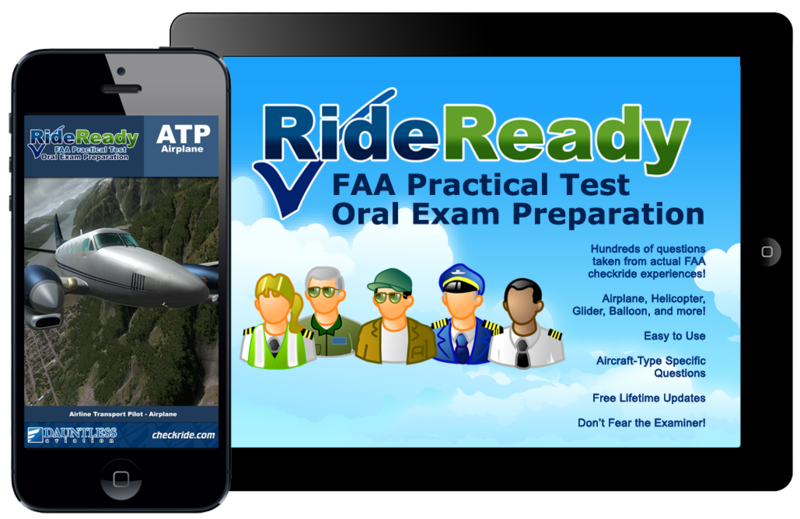 ), we're happy to announce our RideReady FAA Checkride Oral Exam Prep apps for iPhone™. After a lot of work on these titles, we are exceptionally pleased with the results and sure you will be too. 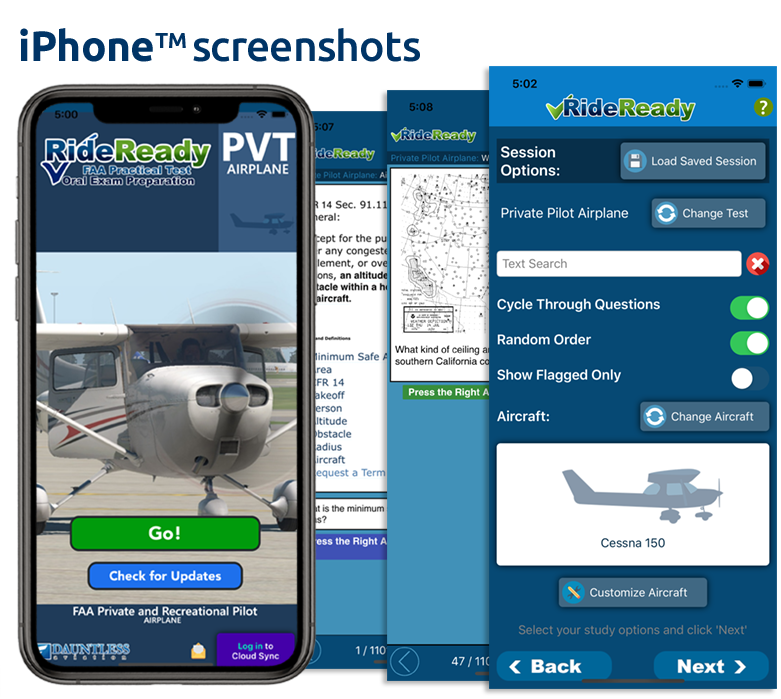 Now, you can study for your checkride wherever you have your iOS™-compatible device with more realistic checkride questions, more illustrations, and more up to date aviation learning content than ever before. 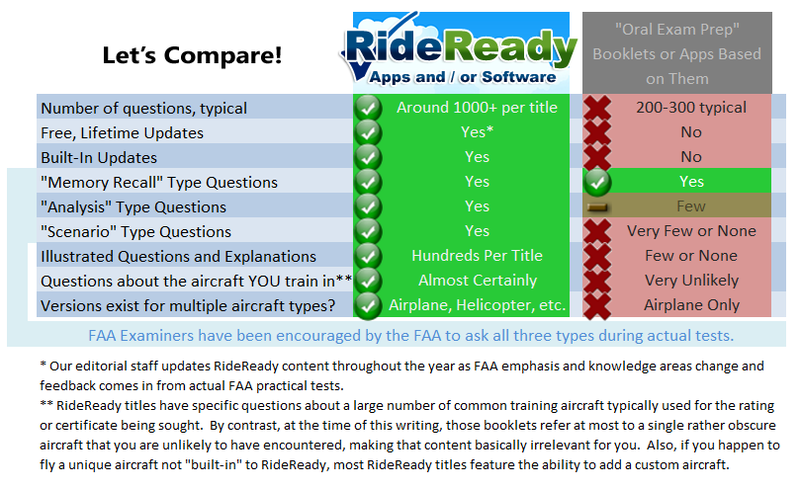 What about Seaplane, Glider, Hot Air Balloon, and/or Tailwheel? Unfortunately, these titles are not avaialble for iOS at this time. Yes! 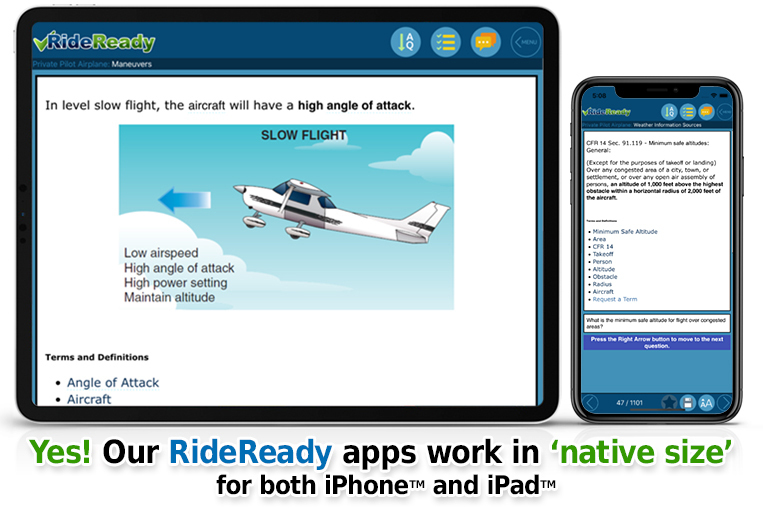 Our RideReady apps are 'dual mode.' This means that if you run them on an iPhone™ device, they will fit themselves to the iPhone™ screen and if you run it on an iPad&;trade, it will naturally fit itself to the iPad™ screen. This also means that if you happy to have both an iPhone™ and an iPad™ device and you happen to purchase an app of ours via the same iTunes™ account, then you will be able to run it on both devices in natural mode and have only paid once. In this policy, we are proudly in the 'elite' 3% of less of AppTunes app vendors who both offer native iPhone™ and iPad™ versions of the same app and don't charge seperately for them!